Search Engine Optimization is a moving target. Search engines update regularly. 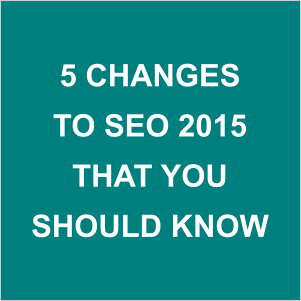 A good SEO specialist should be able to adjust to the changes. You can say that SEO is ever evolving. 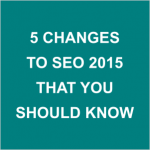 So what has been changed in SEO marketing in 2015? This article is going to cover that. Recent trends show that more and more people are accessing the Internet though their mobile devices. Keep in mind that search engines always want to provide the best experience possible for their users. Thus, search engines are now favoring websites that have a responsive mobile version. To keep up with the update, you must redesign the mobile version of your site to be mobile-friendly. Not only it will give you better rankings, but also your audience will love you for it. Even Google has recently announces to rank down the non mobile friendly websites. Google has always been the king of the search engines. They have a very large market share when it comes to consumer usage. However, situations could potentially change rapidly. Firefox already switched to Yahoo when it comes to making the default homepage. Furthermore, Google’s deal with Safari is coming to an end in 2015, and reports say that Bing and Yahoo are working hard to secure the spot. OS X and iOS are also making a switch to DuckDuckGo as the default search engine. Bing increase its market share significantly and go near 30%. Which is far less then google but it can not be ignored. Nowadays, Bing, Yahoo and other search engines are catching up. As a result, more and more people are accepting other major search engines aside from Google. As an SEO specialist, it’s probably the time to recognize that there are other search engines worth pursuing aside from Google. In the past, social media was only a website that people could share pictures and content. Nowadays, businesses are recognizing the value of social media as a traffic source. Furthermore, major search engines are incorporating social media signals into their algorithms. This means that SEO specialist should take social media more seriously in 2015. By itself, it’s a good source of traffic; and now, it’s already affecting your rankings. For big brands, consumers are expecting you to have a strong social media presence and expect interaction on a personal level. Your website popularity on Google Plus, Facebook and Twitter plays important role to increase the search engine rankings. Inbound links are still the most influential factor when it comes to determining your rankings. However, search engines are getting smarter than ever before. These days, inbound links are weighted on different factors like trust and authority. The days of just getting massive amounts of links are now fading. As an SEO specialist, focus should shift to securing high-quality and trusted links rather than building links from artificially-created sources and chasing massive amounts of links. Businesses are getting into the SEO game. These days, more and more people are competing for search engine rankings. This means that high-volume and sought after keywords will only get more expensive. The better solution is to start targeting precise search phrases, also known as long-tail keywords. They may not have large volume of searches, but they are easier to rank, and you can optimize for a lot of them. Google is making its search engine more and more intelligent to serve the quality search results to its users. Quality content is the most important demand to rank higher in the search engines. Google algorithm is now capable of detecting duplicate content and spun content very efficiently. Even it is also detecting the pages which were over optimized or stuffed with keywords to rank higher. From year 2015 onwards write the content for the users not for the search engines. Search Engine Optimization is an industry that is constantly evolving. What worked a year ago may not work in 2015. Constant adjustments and additions is a must to survive the game. In 2015, SEO should focus more on websites being mobile-friendly, should target other search engines, incorporate social media, acquire high-quality links and target precise search phrases along with good written and informative content for the users. Top Expense Reporting Software of this year!